two years ago, i was a contestant in season 3 of project run & play (sort of project runway for kids clothes…and online). it was an intense but creative season, and a bunch of us really bonded with each other (some during but behind the scenes, some after the competition was all over). so when Jess contacted us to do a virtual Season 3 reunion, I was definitely on board! 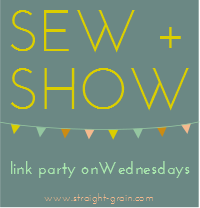 since i’m super pregnant, i wasn’t planning on sewing anything for the reunion – this was to be more of a reflective post on my experience. buuuuut then my seasonmates started showing previews on instagram, and i just couldn’t resist the temptation to join them again – plus i got stuck at home for a few days due to a rare Portland snowstorm, so i actually had time! 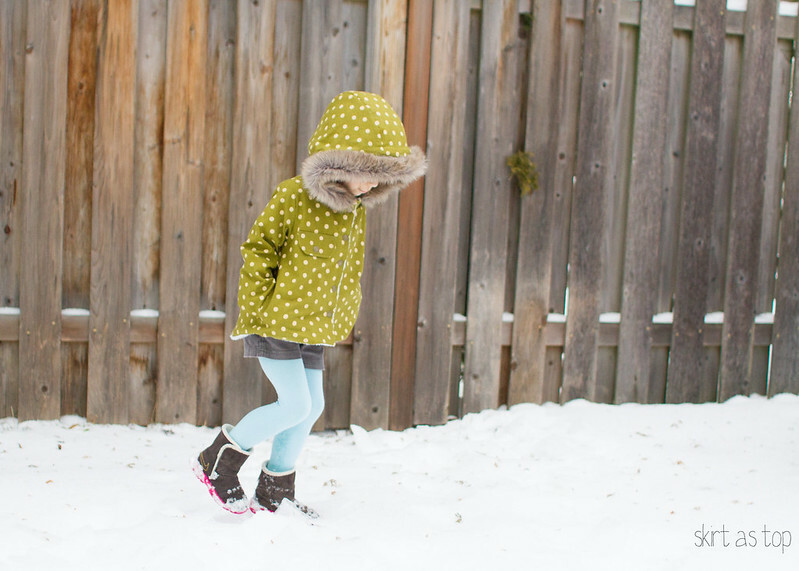 inspiration hit – i’d redo the Outerwear Challenge because i love sewing outerwear but haven’t for a while, and i’d of course stay true to my signature style. 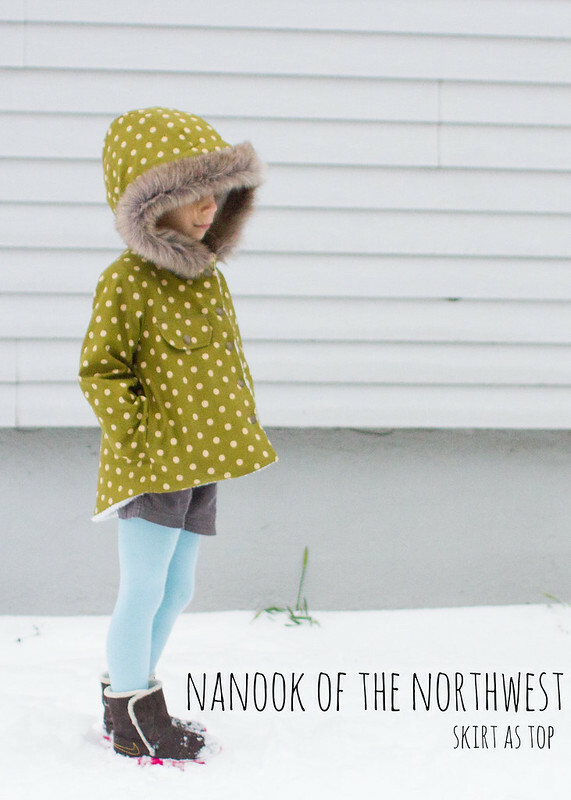 and here it is…my little Nanook of the Northwest (because what’s a PR&P project without a catchy title??). 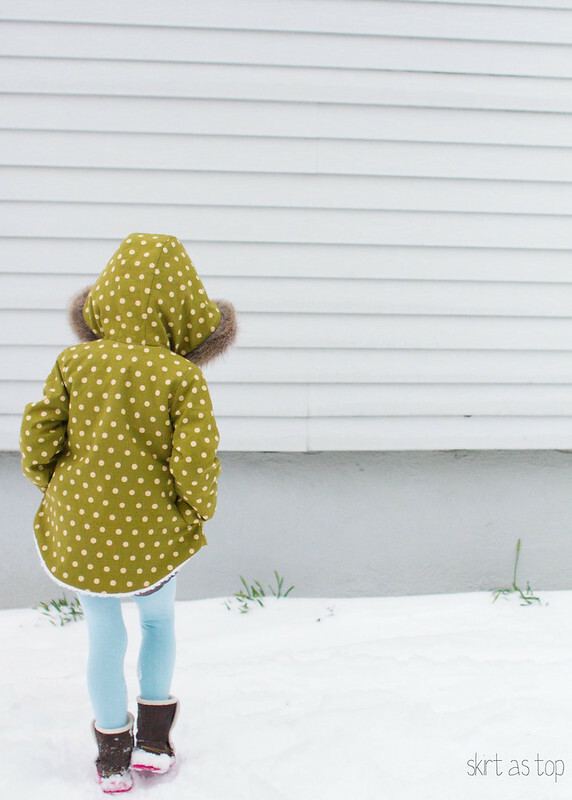 i decided to make a super cozy coat for Em with special details – fun to wear but still practical, feminine but not frilly, stylish but understated, with plays on color…my signature style. it’ll keep her warm on the playground but will catch attention too! 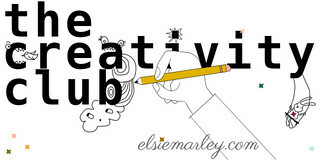 when i sewed for PR&P, i always started with a sketch and shared that in my weekly posts. sketching seems to be how my brain generate new ideas, guides my process, and it’s also very satisfying to see it turn into reality. 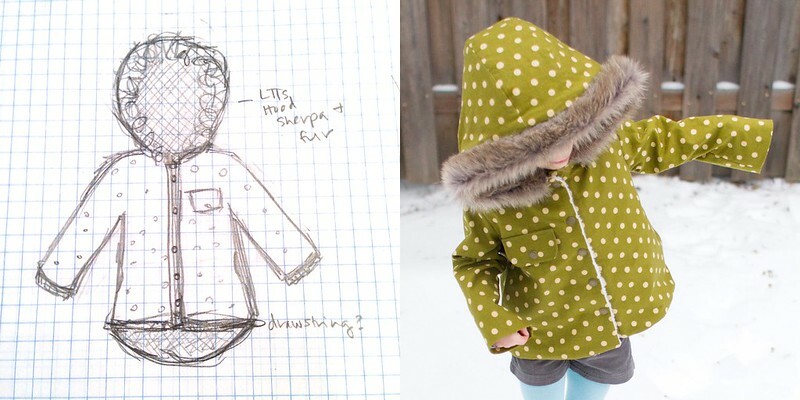 i had been wanting to make a sherpa-lined hoodie for O, actually, so that jumpstarted my idea. 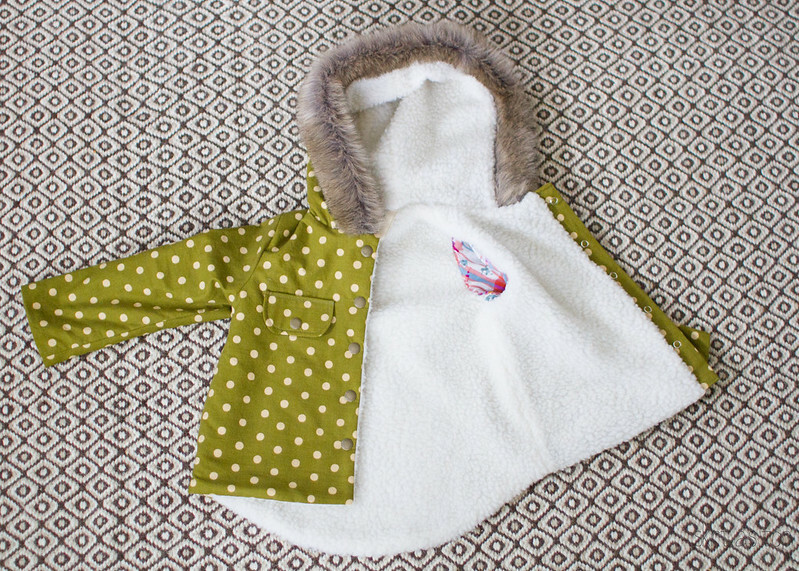 i looked through my stash to find this great dot dot Echino canvas in the perfect outerwear weight (i scored it on sale at Bolt, you can find it online here) sherpa from JoAnn, and faux fur left over from Sam’s hat to trim it out. it closes with brass snaps – after seeing Kelly’s amazing Minoru in real life, i’ve become obsessed and think they add a really nice touch – plus there was NO way i was forcing buttonholes into that sherpa! the hood is the Red Riding Hood Cape hood from Little Things to Sew (affiliate link) – I cut a large but had to trim 1.5” off the front and curve the bottom a bit, and it’s still pretty big. i’m sure the medium would’ve worked. i love that it’s so oversized though, and Em likes to snuggle into it, which is pretty cute. 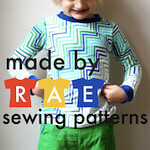 i used the pocket template from the Playtime Tunic for the side seam pockets, cut down to 12-18 month size. 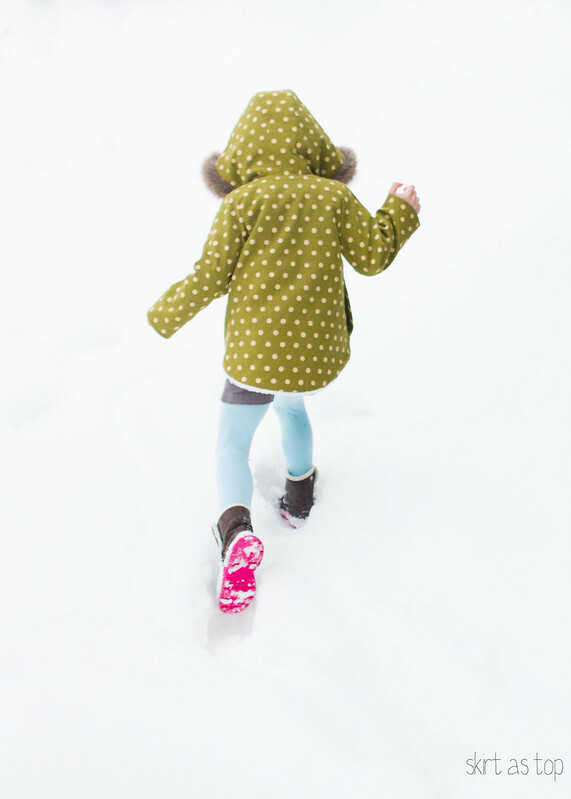 for the body, i used the same pattern i made for little red and my suzy coat – it’s an Oliver + S Sunday Brunch Jacket yoke with shortened sleeves, but extended to full length (this time with a hi-low hemline) and fully lined (the body and hood with sherpa, the sleeves with some voile for easier on/off). one of the most important rules of project run & play is that patterns can be used but they must be heavily altered, so i gave myself the same constraints for this challenge. test fits were seeming a little snug on Em due to the thicker lining, so i added a snap strip on one side to extend it and add a bit of a more professional finish, which worked really nicely. i’m praying it’s big enough that she can still wear it this coming fall/winter. 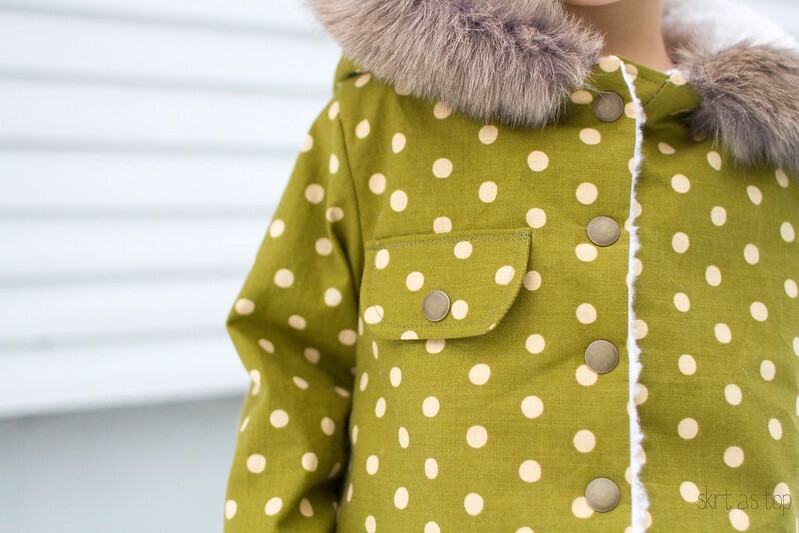 one major difference between my skill level during PR&P and now – i conceived of and sewed this coat in one afternoon/evening, and photographed it the next morning! I was much slower two years ago – one look took me a whole week to accomplish and i was learning so much as i went (collages, photo editing, pattern alteration, etc.). all the practice from film petit helps, i’m sure. and hey, film petit wouldn’t even be here without PR&P (since it was inspired by the Season 4 movie challenge) so that’s another nice tie in! i was going to make leggings to go with it, but just as i finished the coat, the power went out because of freezing rain on the lines! i took it as a sign and skipped the leggings, layering shorts i’d already made with some fun blue tights to complete the look. 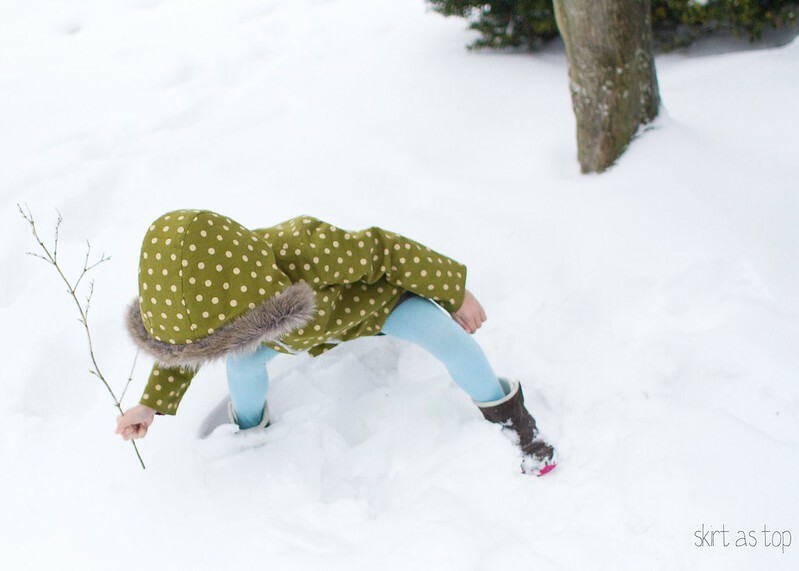 Em had such a good time during this photoshoot – crunching through the layer of ice to the powdery snow below. and i was happy to get outside of the house for the first time in 3 days! 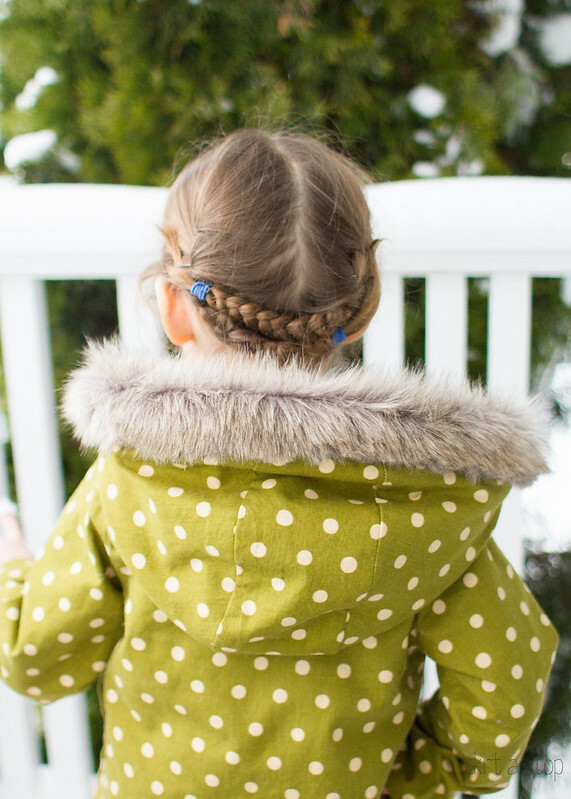 sewing is fun, but fresh air is better. project run & play was a really game changing experience for me, causing me think of myself as a “creative person” for the first time ever. it was also really difficult, and made me seriously gut check myself and my style, why i blog, etc. i think i wasn’t quite “ready” as a sewist or a blogger to be in a competition like that at that time, but it definitely shoved me forward at a pace i never would’ve had on my own. i’m also so grateful for the relationships i built during PR&P. i feel really lucky to call my former competitors friends, and truly admire and am inspired by all of them. it’s fun to get to cheer each other on when you’re not in a competition, ya know? thanks for following along – i know a few of you have been with me since the PR&P days or before, and i really appreciate you so much!! when you’re in a competition like that, it’s amazing how much you need that encouragement and support from people that “get” you. 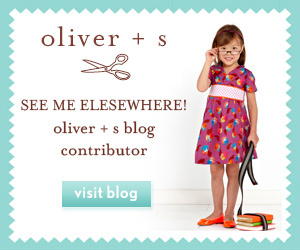 and i hope that everyone that’s found me since then now has a bit more of my story – without PR&P, you probably wouldn’t know my blog – it really sort of put me on the kid sewing blog map. and now i’d love it if you’d please go check out the reunion posts from my fellow Season 3-ers that i’m so happy to call friends! and thanks so much once again to Jess for organizing this reunion!! P.S. did you know that 1922’s Nanook of the North is considered to be the first full-length documentary? i just can’t avoid being inspired by film! What an amazing coat!!!!!! I love everything about it. 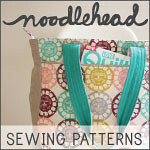 I also really enjoyed reading about your sewing/blogging journey. I haven’t been aware of Project Run and Play for that long maybe I should go check out past seasons. 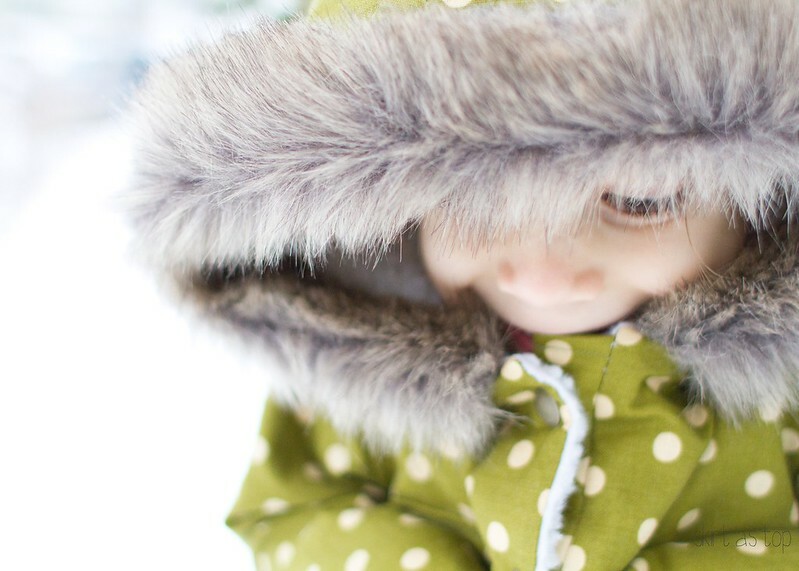 I love the whole thing–especially that faux fur hood! Did you find the Echino fabric to be heavy? I sort of want an Everyday skirt out of that polka dot. What a great coat. I love the high low and the fur trimmed hood. This is too stinkin cute!!! I love it! Kristin I love this jacket!! And, as I’ve said before… I am so thankful for project runway season 3…b/c that is when I first “found” you and fell in love with your amazing tartan dress!! Look how tiny Em was!! oh my goodness!! Wow! I’d love one too! That is an amazing coat Kristin! Oh Kristin, this is just perfect! I love it so much. I love the little high-low hem and the oversized hood is perfect. I wish mine was furry inside, it looks so cozy! I found you after PR & P, so it is nice to hear the history and your thoughts on how it challenged you. Ach! I neeeeed that coat. Olivia has informed me that she’d like it in the same fabric, but light teal and white fur – it is totally perfection. Sherpa!!! And the big hood – love!!! Shoot, I’ve got to get my hands on some polka dot Echino canvas, I hate to start looking because I just know I’m going to go broke! that is one amazing coat. Seriously. If it disappears from your house in May, I didn’t do it…. Squeeel! This is sooo cute! Kristin, it’s perfect. 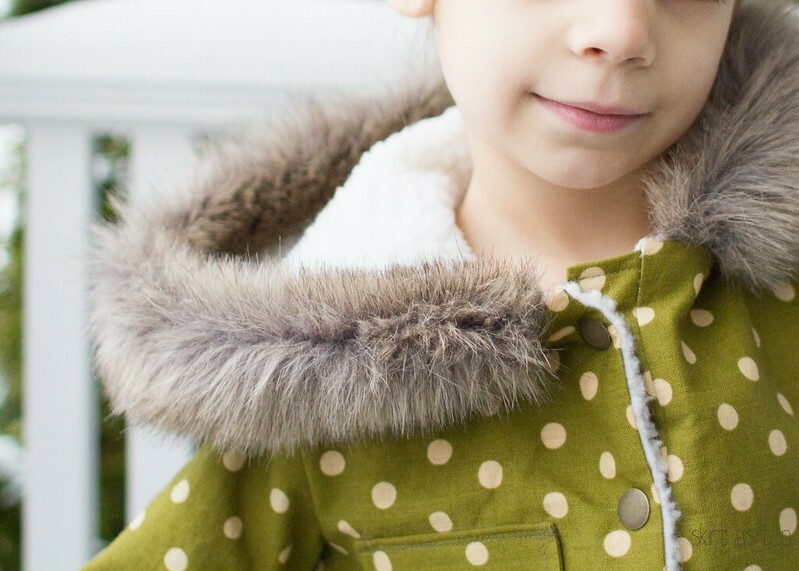 The green and brown together, the hem, the hood – wow! You amaze me. Wow Kristin- this is gorgeous! 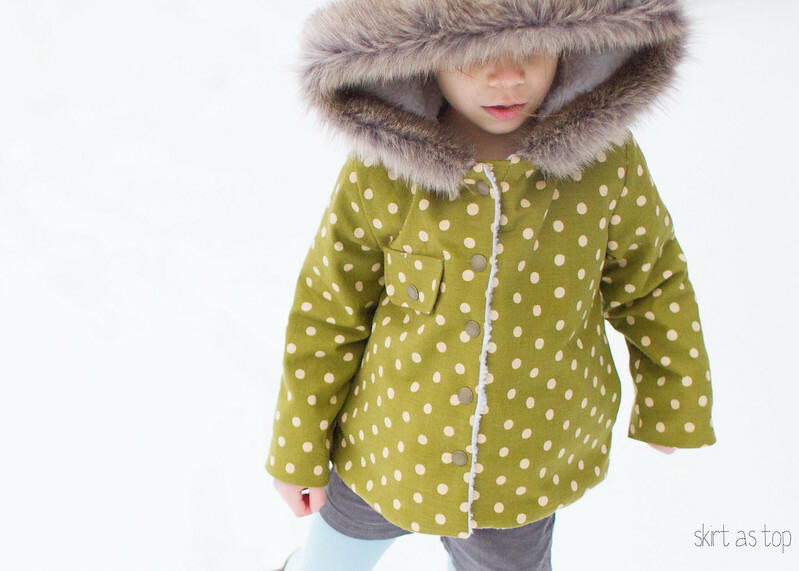 I love, love that polka for fabric for a coat- she certainly will shine in that on the playground! And to read that you did this all in one day…. I’m amazed and impressed! wow, kristin, this is amazing! it’s absolutely perfect! i want one – actually i want four! three for each of my girls and one for me! Oh my- I’m a sucker for a good jacket. And those snaps are perfect on there!! Definitely needed with the crazy nw weather we’ve been having. oh what a coat! 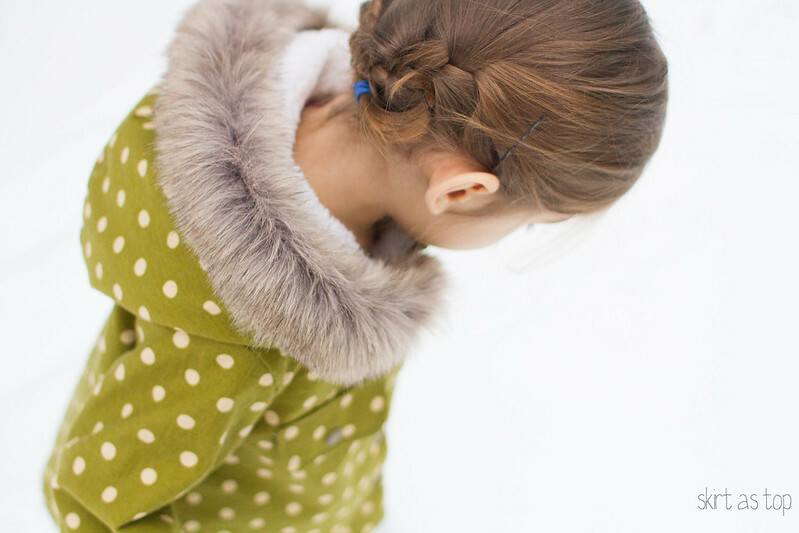 such great fabric – i love that color on her and the fur is so fun!! you do great super pregnant work! 🙂 happy 38 weeks!!! It looks wonderful, how lucky to have a custom made jacket! Well done you! This is fantastic! It is just. So. Good. What a fantastic coat! I love snaps too. I love that you sketched it first. That is how my brain works as well. 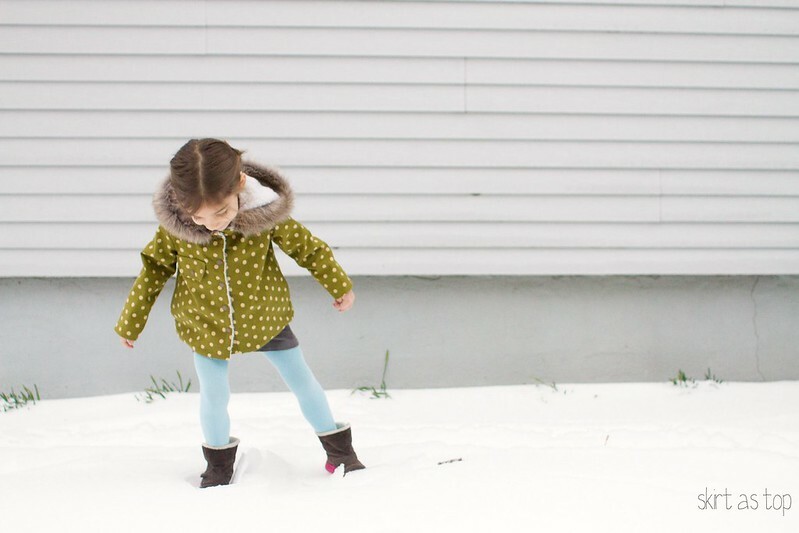 Your daughter looks adorable in iher brand new cozy coat! No way, in a day?! Seriously, that’s awesome. 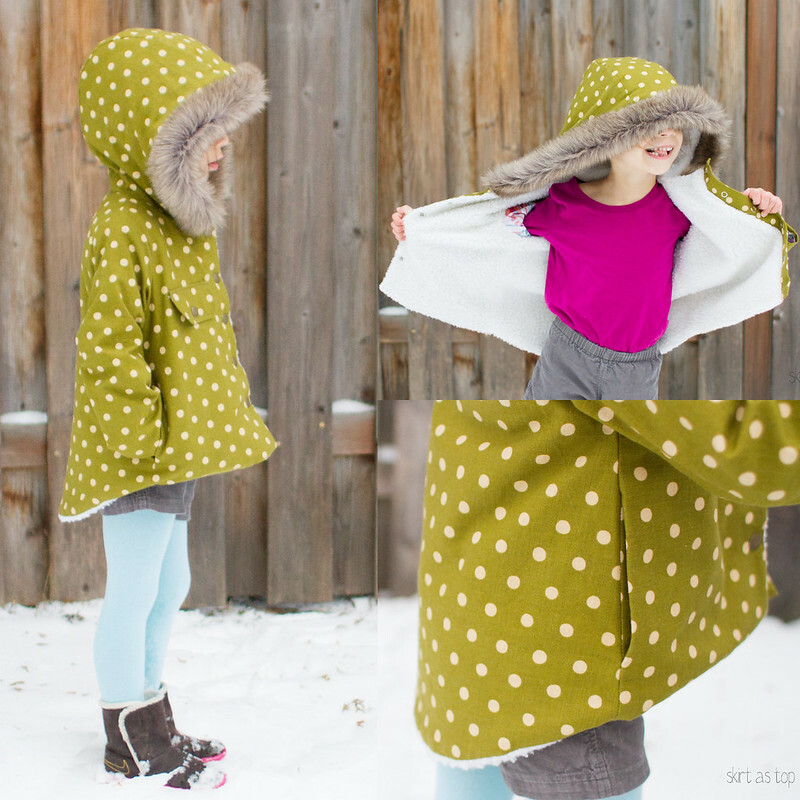 It’s a beautiful coat and it was nice to read a little about your Project Run & Play experience. Probably my most favorite thing EVER. Kristin, YOU ROCK! This coat is beautiful and I am in awe of your talent as always. That coat is just so beautiful! You kill me! I want this coat!!!! Everything about this is so great! I love all the fabric choices and how the hood fits on her. I can almost sense the feeling of having PRP propel you forward with your creativity. It sounds like a rewarding experience, but definitely hard in the midst of it. This.is.awesome. I want one for me, and for each of my girls. LOVE! Spectacular! I am so impressed. This jacket is unbelievable!! Can’t believe you made it before baby arrived. Superwoman much? Wow! This is amazing! Impressive!